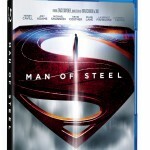 If per chance you are looking to send your favorite movie and Podcast host some well deserved Xmas gifts, then the Man Of Steel Blu Ray is probably a sure shot. Available to pre-order from August 23rd in the UK, the disc contains over 4 hours of special features. Although streaming your movies has become a lot more popular over here as in the US, there still aren’t any streaming services that offer director commentaries or any other of the behind the scene goodies. We loved the Zach Snyder reboot and we waxed lyrically about it on our Man Of Steel Upodcast with special guests Paresh from the CurrySmuggler (Check out their awesome season finale DJ showdown by going here) and Sujoy aka @93ek. 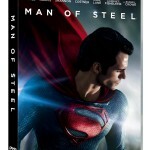 The fate of mankind is in the hands of one man when “Man of Steel”™ arrives onto Blu-ray 3D, Blu-ray 3D Steelbook, Blu-ray, DVD, and Digital Download on 2nd December from Warner Bros. Home Entertainment. 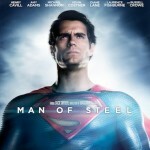 In “Man of Steel,” Clark Kent is forced to confront his extraterrestrial past and embrace his hidden powers when Earth is threatened with destruction. From Warner Bros. Pictures and Legendary Pictures comes “Man of Steel,” starring Henry Cavill in the role of Clark Kent/Kal-El under the direction of Zack Snyder. The film also stars four-time Oscar® nominee Amy Adams (“The Master,” 2012), Oscar® nominee Michael Shannon (“Revolutionary Road,” 2008), Academy Award® winner Kevin Costner (“Dances with Wolves,” 1990), Oscar® nominee Diane Lane (“Unfaithful,” 2002), Oscar® nominee Laurence Fishburne (“What’s Love Got to Do with It,” 1993), Antje Traue, Ayelet Zurer, Christopher Meloni, and Academy Award® winner Russell Crowe (“Gladiator,” 1992). 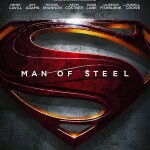 “Man of Steel” is produced by Charles Roven, Christopher Nolan, Emma Thomas and Deborah Snyder. The screenplay was written by David S. Goyer from a story by Goyer & Nolan, based upon Superman characters created by Jerry Siegel & Joe Shuster and published by DC Entertainment. Thomas Tull, Lloyd Phillips and Jon Peters served as executive producers. The Blu-ray 3D, Blu-ray 3D Steelbook, Blu-ray and DVD will include UltraViolet which allows consumers to download and instantly stream the standard definition theatrical version of the film to a wide range of devices including computers and compatible tablets, smartphones, game consoles, Internet-connected TVs and Blu-ray players. · Strong Characters, Legendary Roles – Explore the legendary characters of the Superman mythology and how they have evolved in this new iteration of the Superman story. 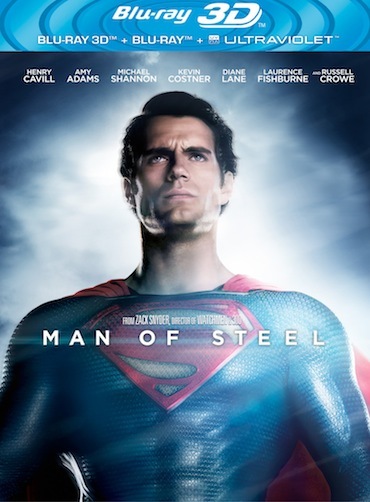 · All-Out-Action – Go inside the intense training regimen that sculpted Henry Cavill into the Man of Steel and Michael Shannon and Antje Traue into his Kyptonian nemeses. Includes interviews with cast and crew. · Exclusive to UltraViolet – Journey of Discovery: Creating “Man of Steel” – This immersive feature-length experience allows you to watch the movie with director Zack Snyder and stars Henry Cavill, Amy Adams, Diane Lane and others as they share the incredible journey to re-imagine Superman.